Latest CBS News poll finds Democratic nominee is leading Republican nominee in the battleground states of Pennsylvania and North Carolina. Democratic presidential nominee Hillary Clinton leads Donald Trump in the battleground states of Pennsylvania and North Carolina, according to a poll released Sunday and quoted by The Hill. 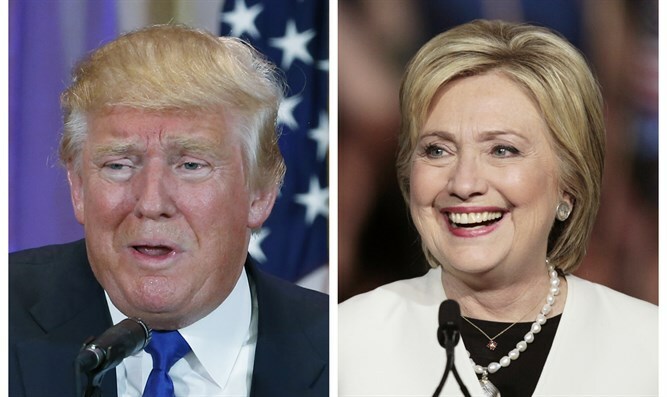 Clinton leads Trump, the Republican nominee, by 8 points in Pennsylvania, 45 percent to 37 percent, in the CBS News Battleground Tracker poll. In North Carolina, she leads him by 4 points, 46 percent to 42 percent. The CBS News poll follows an Ipsos poll, released earlier Sunday, which found that Trump has closed the gap on Clinton in a number of other swing states, particularly in the Midwest. The poll found that Trump now leads Clinton in New Hampshire by 1 point, in the all-important bellwether state of Ohio by 3, and in Wisconsin and Michigan by 1 each. The same poll found that Trump’s largest lead came in Iowa, where he is up by 3 points. An Emerson poll showed an even larger lead of 5 points, and the RealClearPolitics average now shows Trump leading the state. Both polls found that Clinton's email troubles are still on the minds of voters, noted The Hill. Almost half of voters surveyed across 13 battleground states think Clinton's explanations regarding her use of a private email server while secretary of State are getting "less believable." On Friday, the FBI released documents related to its investigation of Clinton's use of a private email server. The documents showed that Clinton did not recall receiving any emails she thought should not have been on an unclassified system, and reportedly told investigators she could not recall getting any briefings on how to handle classified information or comply with laws governing the preservation of federal records. The Clinton campaign welcomed the release of the documents, saying they showed why the Justice Department believed there was no basis to move forward with this case. The Trump campaign, for its part, blasted Clinton as dishonest following the release of the documents.